This is one of the most popular Butter Cake recipes among fellow bloggers and I've read many reviews about this cake. Credit must be given to Mrs S K Ng for so generously sharing her recipe. 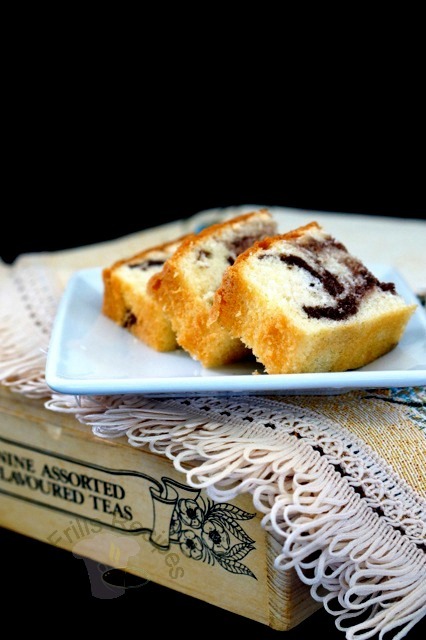 This cake is moist, fluffy, soft, not overly sweet and the texture is just right. Must admit that this is the best butter cake that I've ever tasted. 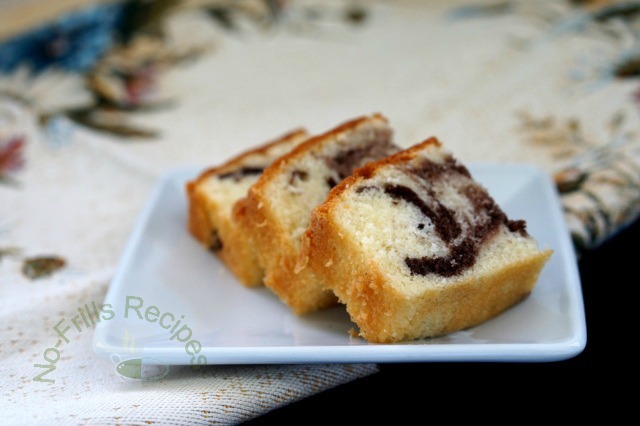 I tweaked the recipe to make a Marble Butter Cake instead. So glad to see that there weren't any cracks on the surface although it rose slightly in the middle. 1. Line the base of an 8 inch square pan with parchment paper, grease and dust the sides of the pan with flour. Set aside. 2. Cream the butter with sugar till light and creamy, add in the egg yolks one by one. Mix well. Add in vanilla essence. 3. Add in sifted flour on low speed, alternating with milk. 4. In a clean bowl, beat the egg whites till soft peaks form, add in the sugar and beat till stiff peaks. 5. 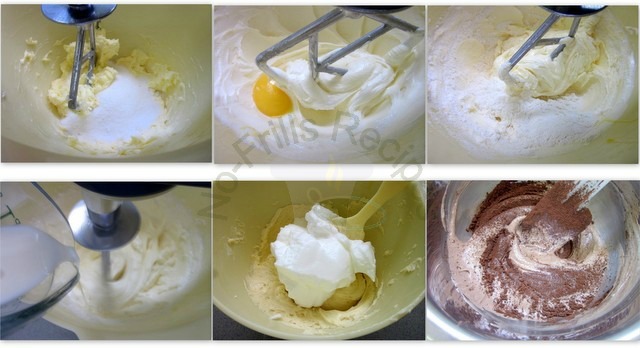 Lightly fold in a third of the egg whites into the batter, mix well followed by the remaining egg whites. 6. Scoop up a quarter of the batter into a bowl. Sift in the chocolate powder and mix till well blended. 7. Spoon some plain batter into the prepared pan and smooth it to an even layer. Drop some chocolate batter over the plain layer, then cover up the chocolate batter with the plain batter. Repeat till all the batters are used up, finishing with the plain batter. 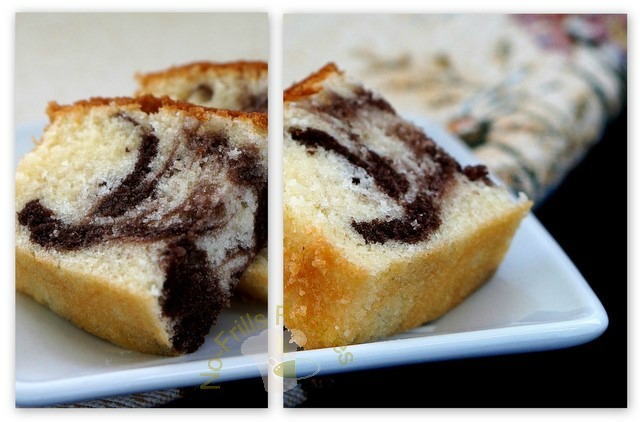 Smooth the surface and lightly swirl with a chopstick or skewer to create some marbling effect. 8. Lightly tap the pan on the work top to dispel any air bubbles. 10. Remove the cake from the oven and let cool for about 10 mins. 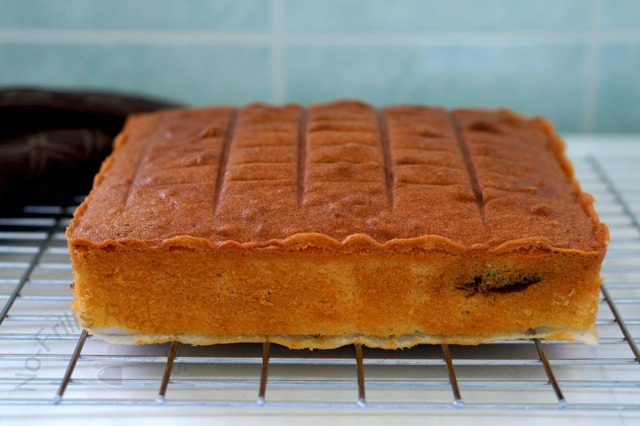 Unmould the cake over a cooling rack and let cool completely before cutting up to serve. Haven't had any cake or cookie in a long while..now you have me crave some! 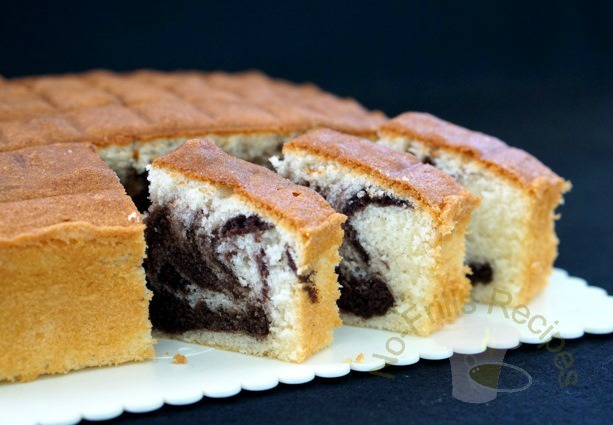 This marbled cake looks gorgeous. Get going and bake one, Angie, this is real good! 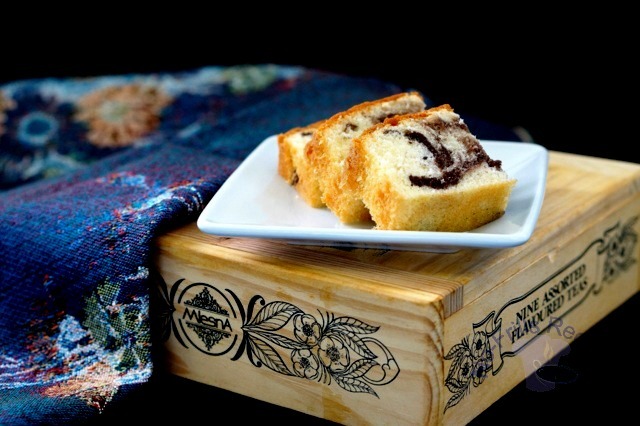 Cheah, This popular butter cake looks very pretty with the marbling effect. I definitely want to bake one too! Looking forward to your post on this cake, Ann! Lovely cake! Would like to have some with tea! I will never resist a slice of butter cake. Love the marbling effect . For this recipe I used a French butter, unsalted. You can opt for SCS or Lurpak butter. Yes, different brands of butter will give a different degree of aroma.